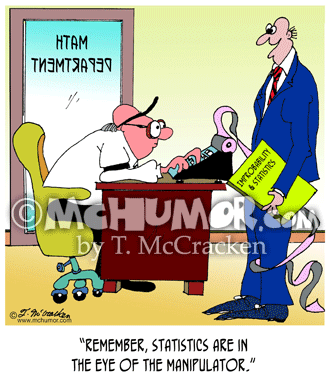 Statistics Cartoon 7203: Someone in a Math Department office with a book, Improbability & Statistics, says to a man using a calculator, "Remember, statistics are in the eye of the manipulator." 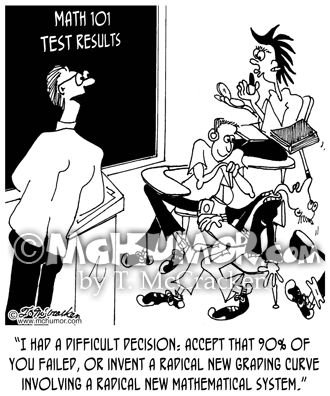 Teacher Cartoon 2697: A teacher says to students, “I had a difficult decision: accept that 90% of you failed the test, or invent a radical new grading curve involving a radical new mathematical system." 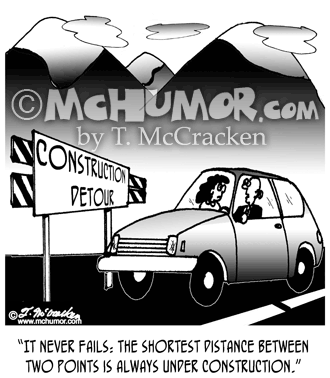 Construction Cartoon 3677: At a "Construction Detour" a man stuck in a car says, "It never fails: The shortest distance between two points is always under construction." 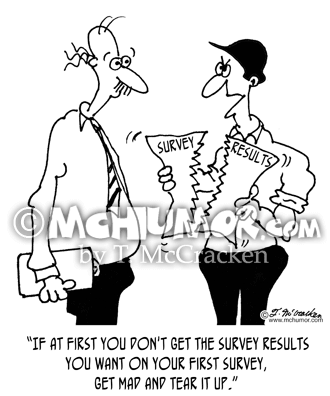 Survey Cartoon 7989: A manager tearing up a report says, "If at first you don't get the survey results you want on your first survey, get mad and tear it up." 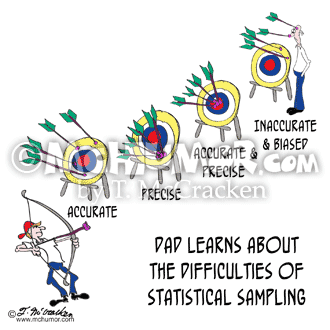 Statistics Cartoon 9225: "Dad learns about the difficulties of Statistical Sampling." 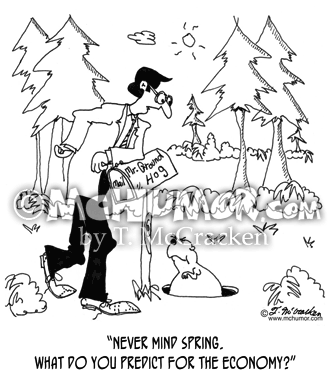 A kid fires rubber tipped arrows at targets. Dad has arrows on his head and nose next to a target labeled Inaccurate & Biased, arrows are all over a target labeled Accurate, arrows are in a cluster on one labeled Precise, and are clustered in the bullseye on one labeled Accurate & Precise. 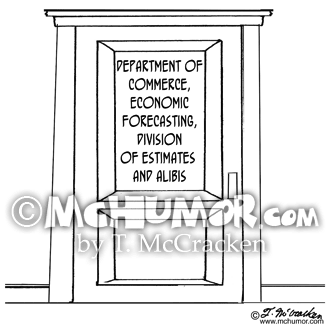 Murphy's Law Cartoon 2342: "Murphy's Bed meets Murphy's Law." 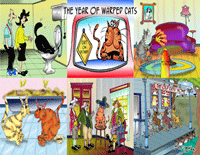 A bed has folded up against the wall with a man still in it." 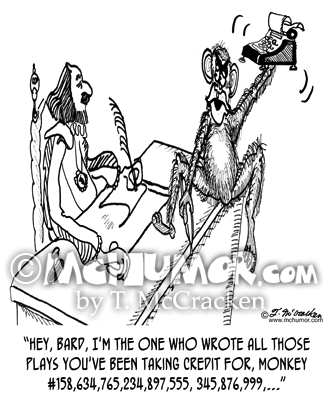 Computer Cartoon 2576: "The mob's first moves into the information age." 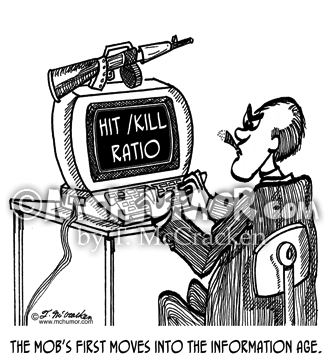 An old land gangster at a computer types, "Hit Kill Ratio."